Georgia Hall says she is taking "more confidence" into this week's Evian Championship after claiming her maiden major title at the British Open last month. 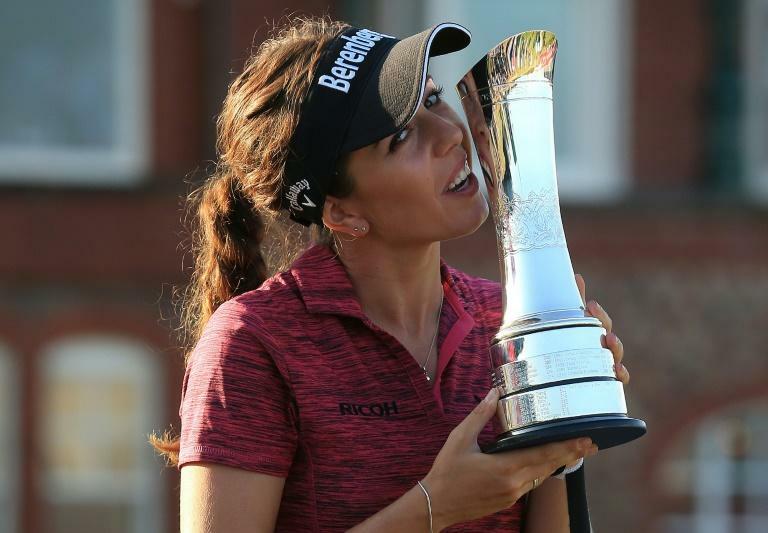 The Englishwoman had an impressive top-10 finish on her debut at the final major of the year in France 12 months ago, and she lines up this time around as one of the favourites. The 22-year-old catapulted herself into the limelight by beating Thailand's Pornanong Phatlum by two strokes at Royal Lytham & St Annes and is hopeful of more major success. "It's very cool coming here as a major winner," she admitted. "It gives a bit more confidence. "If I'm in that similar position again I don't think I'll feel as nervous, which is nice to know. This is just my second year, but I already love this event and want to do well. "I've been busy since my win at Lytham. A lot more interviews and attention, but I also enjoyed a spell at home and was able to celebrate with my family. "But it is very important for me to play well this week. I've just had five days off so I feel very fresh." Hall followed her British Open triumph by nearly winning her first title in the US. She was second in the Portland Classic and has now risen to number eight in the world. "I would love to win this event and make it back-to-back majors," she continued. "I enjoy challenges. I believe I am the first English woman to be ranked in the top 10 in the world and I love creating history." Hall made her Solheim Cup debut last year, and one of her main goals is to be back in the team for Gleneagles, Scotland, in 2019. She also has her sights set on climbing the world rankings -- and compatriot Justin Rose's elevation to No.1 on the men's list this week has been the perfect spur. "I congratulated Justin this morning," she said. "I think it's amazing, and he is such a great role model to look up to in England. If English players were top of the men's and women's rankings it would be incredible." One chart that Hall has her eyes on topping this week is the Annika Major Award. It is given to the player who performs best in the five majors, and must include a win. Currently heading the list is US Women's Open champion Ariya Jutanugarn, followed by Park Sung-hyun and then Hall is in third place. Park Sung-hyun is the current world number one and reigning LPGA champion and she has already shown her liking for the Evian course with a runner-up finish in 2016.